As specialists in Test Management and Software Testing Tools we deliver solutions and services to help you construct a solid foundation for your test process. From tracking test cases, updating scripts, automating testing and recording results, we help you perfect your testing. We can support the implementation in five key ways. Having issues with test management, losing track of your progress, out grown Excel or just struggling with information overload? We’ll help you implement the right tools with the right process to reassert your control over your test process. Manual test processes and automation implementation out of kilter? Perhaps you’re struggling to see the whole test management picture. We’ll help you unite both aspects of the process so that you get one clear picture for your release readiness. Multiple environments, different configuration, lots of users demands? With the right test management tools in place you can track not only availability and allocation, but specific setups that have been used in execution runs. Development team using tools that they won’t relinquish but which are totally inadequate for tracking your test process? Implement your chosen test management solution and let us provide the glue that binds multiple systems to deliver an integrated overall solution. Have more data than you know what to do with? We can help you define and create reports that cut through the data overload. Have the essential test management data you need at your figure tips to guide your team on those crucial release decisions. Equity Red Star (ERS) have been providing insurance to businesses and personal customers for the past 60 years. As one of the largest personal lines syndicates at Lloyd’s, Equity Red Star is widely recognised for its service delivery, technical expertise and underwriting excellence. Find out how ERS took control of their UAT process and standardised on a development life cycle process that worked for multiple business units. Read the Equity Red Star case study. In this video we also show you how to create traceability reports showing progress of testing against individual requirements. Find out how one of today’s preferred test case management solutions can help you optimize your test process. See how you can create and track test cases giving you clear coverage data for all of your requirements. Already using QTP to drive your automated testing? See how QA Complete can provide you with a united manual and automated test management solution. From scheduling automation runs from one central tool to tracking combined manual and automated results. QA Complete brings these usually disparate aspects of your test process into one central management tool. Already using Jira for defect tracking extensively within your organisation? 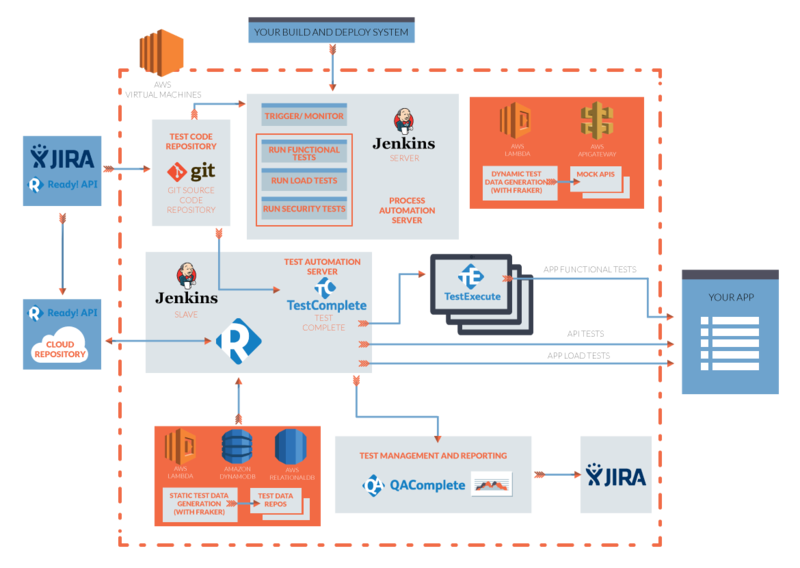 See how QA Complete can be closely integrated with Jira so that your development team continue to use their tool of choice and your test team get to use one of the most powerful test management solutions on the market today. An integrated solution that gives the test team a single platform for managing test cases, test environments, automated tests, defects and test project tasks. Supporting all aspects of the test process, empowering the test team with great dashboards and tracking of key test metrics. This is the all-encompassing solution, providing visibility of your test process and ensuring the delivery of high quality software. Find out how this test management system can improve your product quality, increase your team’s productivity and empower your team. Learn more with a live web demo from our test management specialists. How to increase test team success? A step by step process for selecting and choosing the right test tools for you and your team.